Saturday evening, August 15, 2015 e.v. Let me start off by thanking Sisters Melissa H., Vanessa C., Trisha M., and the members of Scarlet Woman Lodge, Bubastis Oasis and 718 Camp for their work putting this conference together for us. I'd also like to thank Sister Melissa for her superb service as Chair of the Conference Committee, since she'll be stepping down from that office at the conclusion of this event. Sister Melissa will be transferring the Great Crystal Gavel to Sister Nessa Cohorn, to whom we offer our congratulations and best wishes. One of Sister Nessa's main tasks over the next two years will be to oversee the organization of NOTOCON XI in the summer of 2017 e.v. The theme of which will be “For the Chance of Union.” And the location of which will be Orlando, Florida. The day before yesterday, the Supreme Grand Council convened here in Austin to initiate three new Sovereign Grand Inspectors General and Bishops of our Gnostic and Catholic Church. Brothers and Sisters, I present to you Brother Douglas B. (Tau Heru-Sutekh), Sister Kim K. (Tau Diotima), and Brother Chris F. (Tau Aryeh). I'd also like to welcome one of our bishops back to active membership after a ten year vacation : Sister Content K.
I'd like to mention one thing that happened at the Areopagus meeting last May in Vancouver, which you may find interesting. As you know, Book 194 describes a system of trade, craft, and professional guilds within the Order, to be organized internationally under the authority of the Areopagus. As some of you may have noticed, the Grand Lodge of Australia has been experimenting with a national Australian art guild called “Collective 777.” The success of this experiment has led to International Headquarters deciding to permit the formation of national guilds within any Grand Lodge. This is significant, because, previously the guilds all had to be international in scope, which posed some serious difficulties in terms of communication within and administration of these guilds. The plan now is that the national guilds can develop locally and ultimately enter into relationships with their counterparts in other Grand Lodges to form truly international guilds, as part of a more organic development process. A committee of Areopagus members was established to present a proposal for national guild formation, but the O.H.O. has informed me that U.S. Grand Lodge can begin the process of forming it's own national guilds at any time. My thought is that these proto-guilds would go under some alternative designation, “league,” perhaps, at least until the committee's proposal has been presented and accepted by the Areopagus. So be thinking about this, and if you and your associates come up with a workable proposal for such a national proto-guild, send it on the the GSG. The context of this theme, as explained on the NOTOCON X website, involves manifesting the Law of Thelema in our daily lives, especially in the context of living in a part of the country where conservative Christianity still plays a dominant role in society. I'd like to expand on this a little by talking about manifesting the Law in the context of another pervasive aspect of our society: democracy. Continuing along these cynical lines, democratic elections have always been basically contests of propaganda, and thus subject to gaming. For truly fabulous prizes! The ability to craft laws in your own favor promises great wealth to the most skillful and unscrupulous players; so it's always the money people who have the most interest in playing the game. And the rules of the game are to get votes for your side and take them away from the other side. By all means available–including appeals to sentimentality and irrational fear, twisting the facts and outright lying, and even physical intimidation. * An exception to this rule might come along occasionally. I've heard a lot of Thelemites arguing about which political party here in the U.S. is more “Thelemic” than the other. I think it's a silly question. Political parties are artifacts of a system of popular democracy, which Crowley decried, and they're both just huge propaganda engines designed to eternally bash away at each other; like giant gladiator battle-bots; because the People love conflict. Now, I'm not saying that democratic politics is unimportant and should be ignored. It's part of our world here in modern-day America, and so we need to make the best of it. I'm absolutely not one of those people who will tell you that voting is a waste of time. Elected officials constantly make decisions that affect you and your friends in significant ways. So as long as you have the ability to vote, I suggest that you need to use it; otherwise you're ceding what little political power you have to others. You know how more and more evangelical Christians are seeking elected offices, and winning. You know–especially here–the kind of effects these people can have on your daily lives. But… don't let yourself get shanghaied onto sleazy campaign steamers by scare tactics, superstition, sentimentality, or vague promises of economic advantage. Hold onto your own vision and principles, and vote them. If you can find candidates who actually advocate your principles, support them. Perhaps more importantly, actively oppose candidates who espouse views and policies that are inimical to your principles. if you have the energy and contacts, maybe you should consider being a candidate yourself for some local office. 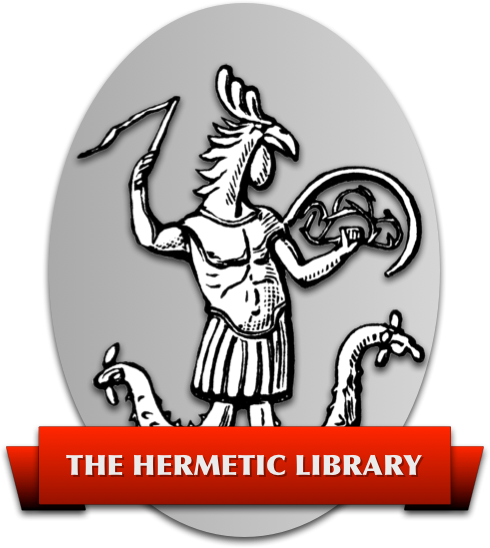 And if you want to support Thelemic principles in a political way, I suggest you use Liber Oz as your guide; not the phony, intentionally divisive, celebrity culture, pseudo- issues cooked up by the political parties and their servants in the media. Speaking of Liber Oz, I have heard some say that these are the rights we claim for ourselves as Thelemites. …Yes and no. Sure, we claim them, but that's because we assert these rights for all humanity. It isn't enough to enjoy and guard these rights for members of our little in-group. If we remain silent while these rights are being denied to anyone, then we are not really being true to our principles. But, practically speaking, our nature as human animals is to cluster into groups and divide humanity into insiders and outsiders. And these groups do tend to act collectively in the interest of their members, especially when under threat. It would be foolish to be opposed to this natural tendency. It would be like being opposed to…thumbs. But it would be equally foolish to ignore it; or to pretend that it doesn't happen, or try to wish it away. We see it everywhere, even among ourselves, within our own Order. Really, the problem comes when this tendency blinds us to the individuality of all the insiders and outsiders in our world–and to our own individuality apart from any group context. Those with initiative, dedication, resourcefulness, and genius certainly should be allowed to freely enjoy the fruits of their labors; and may also deserve a certain elevation of privilege if their labors also serve humanity. But these fundamental rights that underpin the ability to freely be oneself and do one's will are for everyone–who does not reject them. They are not market commodities to be cornered through cleverness or family connections; either to keep to yourself or dole out selectively to your chosen and preferred. And if we stand idly by as other sovereign individuals have their basic rights eroded or torn away against their wills because of their group classification: their skin color, their gender, their ethnicity, their nationality, their preference in love, their economic status, their religion of their parents, even their I.Q., then we are guilty of hypocrisy. Everyone has their will to discover and do. The only ones who deserve abrogation of these basic rights are those who would deny them. Thus, if we are to honorably claim these rights for ourselves, we must affirm their universality. Now, this puts us in a peculiar position that many of us will find uncomfortable. Because we live and participate in a culture that, through centuries of structuralization based on unscientific and pseudo-scientific notions, has internalized and institutionalized discriminatory biases based on race, gender, ethnicity, economic status, and a host of other arbitrary distinctions–and many, if not most, of us here, happen to be on the winning side of those biases. Whether we like it or not. You don't have to be a bigot to benefit from institutionalized prejudice. And when you do so benefit without protest, or even awareness of it, you are a tacit participant in an oppressive system. Opposing racial and sexual prejudice is a Thelemic value; even for white, heterosexual, middle-class men–like me. Even if we have to summon the courage confront our own fear of losing the automatic social privileges we have become accustomed to as societal insiders. I'm not just talking about political change, here. We're experiencing fundamental changes in the ways that people communicate and interact with each other; changes in the ways individual and organizational privacy are viewed; changes in attitudes towards intellectual property, changes in the ways that people are able to go about simply making a living for themselves; changes in the ways people approach matters of spirituality and belief; and changes in our own physical environment whose extent we're only just starting to really grasp. Today, there's no point being concerned about fighting or preserving the status quo. The status quo is a paper butterfly. We're all on board a tiny little fraternal boat here, bobbing around on very rough seas. We need to keep our eye on the stars and our instruments, and mind the pumps. It's time to put our Lilliputian quibbles aside.